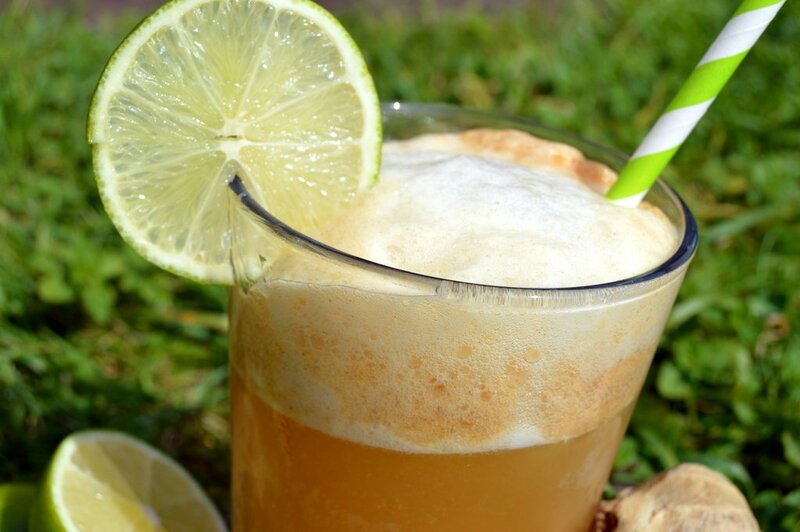 This is a quick ginger beer recipe that’s non-alcoholic. Simply blend everything together and then pour soda water over. It uses fresh ginger for a kick and cinnamon for added sweetness and spice. 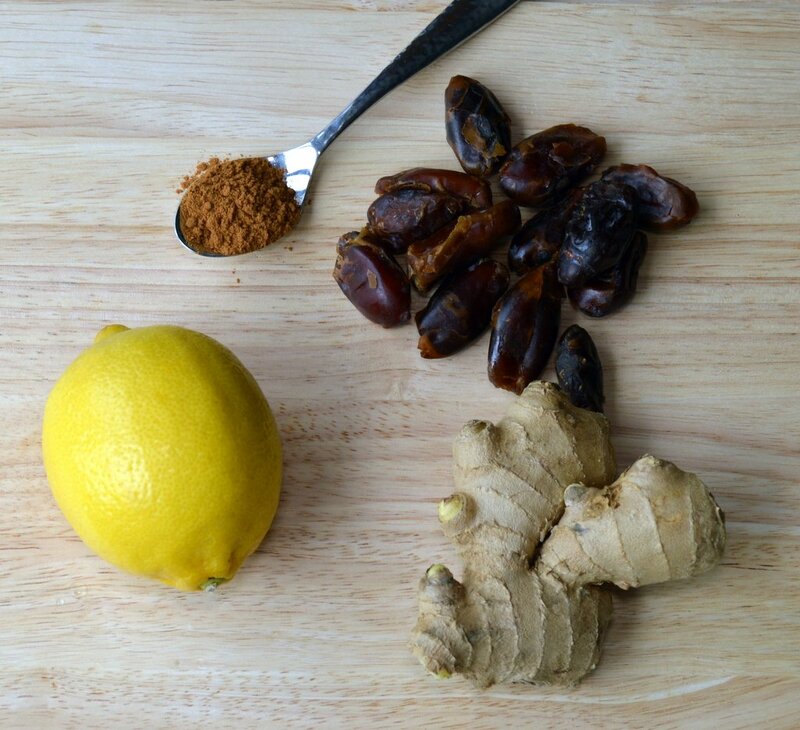 A refreshing and healthy summer drink with no added sugar. You may wish to adjust the cinnamon and ginger to your tastes. I like it spicy but if you’re more a mild person just halve the ginger and cinnamon. Either lemons or limes work great in this, use what you prefer. The mix for this ginger beer will last for a week in the fridge then you can just mix with ice and soda water when you want a glass. Don’t do what I do in the video and remember to tilt the glass as you pour the soda water. Else you will get a foamy head! Juice the lemons / limes. Add all to a blender and whizz until combined. Ensure there are no stones in the dates. You can either sieve the mixture or not depending on if you like bits. I don’t sieve it but some prefer it smooth. Pour the blended mixture over ice and add the soda water. 1 part mix to 4 parts water. Enjoy immediately or store the mixture in the fridge before adding the soda water. The concentrate should last a week or so in the fridge. 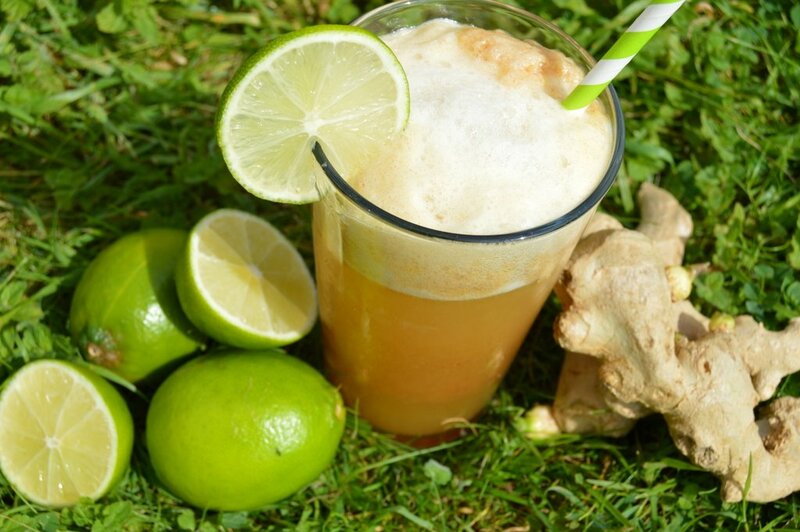 Check our our video recipe of making instant ginger sparking beer.